Posted on 24/02/2015 by U.N.
up to 900mm thick and 80 tons heavy is still produced at the old Marrel Frères site in Chateauneuf, France. The steel mill was founded in 1867 by the Marrel brothers. Main product were flat irons and armoured plates. In 1932 a unique combined heavy plate rolling and forging mill was installed that is still in use today. In 1974 Marrel Frères became part of the Creusot Loire group and eight years later the production of long rolled products was transfered to St. Etienne and after the bancruptcy of Creusot Loire the mill became part of USINOR. In the following years the company changed it’s name frequently (Creusot Loire Industrie, CLI Fafer, Usinor Industeel). Today the site is part of Industeel producing the largest heavy plate in Europe. Posted on 05/02/2014 by U.N. Though much of Lorraine’s steel industry has vanished the old Carlshütte in Thionville is still around. At least parts of it. Like the electric arc furnace in the old open hearth shop now owned by Akers from Sweden. The mill in Thionville (German: Diedenhofen) on the banks of the river Moselle was founded by Carl Röchling from Völklingen, Germany and named “Carlshütte” in 1898. Lorraine was part of Germany from 1871 to 1918. 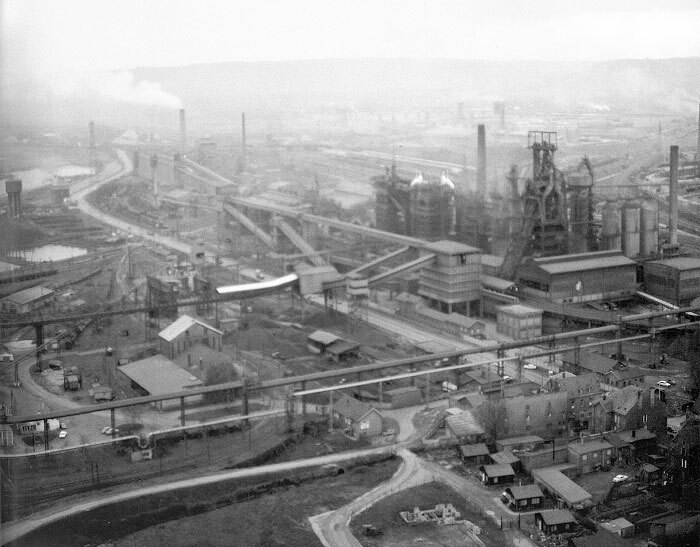 Two blast furnaces were built and two more plus a Bessemer steel mill were added in 1906. After the first world war the mill became French and was now called “Société Lorraine Minière et Métallurgique”. A coking plant came into operation in 1928. The “Aciéries de Longwy” took over the plant in 1933. A forge, an open hearth melt shop and a foundry were added. 1953 saw a new owner: “Société Lorraine – Escaut“. In 1964 blast furnace number 1 was replaced by a new furnace the largest in Lorraine capable of producing 2000 tons of pig iron a day. Furnaces No. 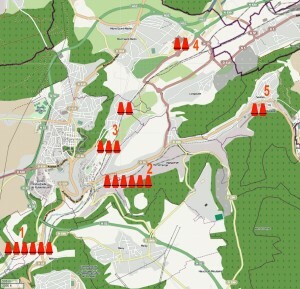 2,3 and 4 were closed down in between 1966 and 1970 and were all dismantled by 1972. USINOR a large steel company from northern France took over the Thionville mill in 1966. A new UHP 70 ton electric arc furnace replaced the old open hearth furnaces in 1973. Plans to built a OBM oxygen steel making shop on ground were halted in the 1970ies and in 1977 the blast furnace, the Bessemer shop and all rolling mills were closed down for good. 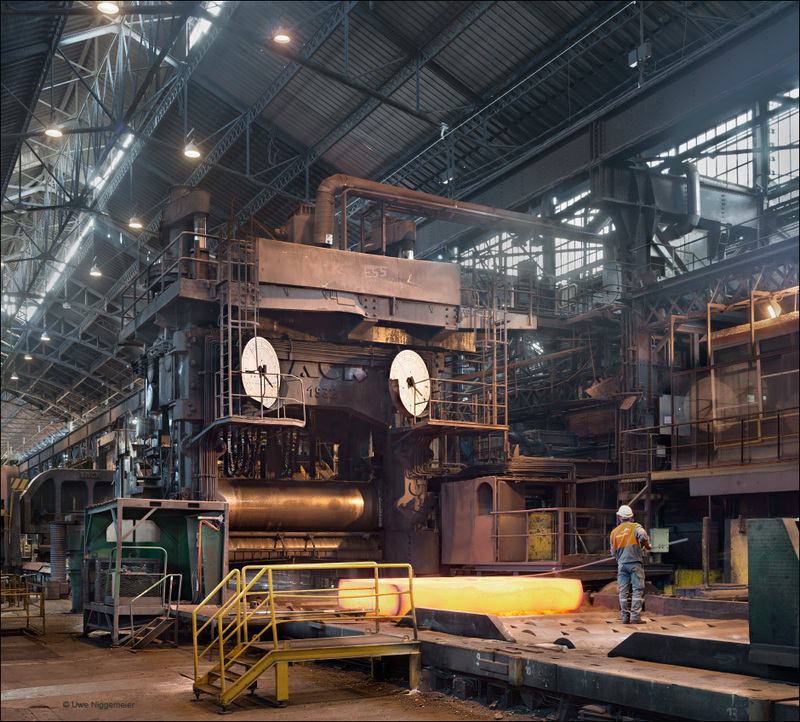 wire rolling mill in Longwy. In 1983 the steel foundry was closed down. 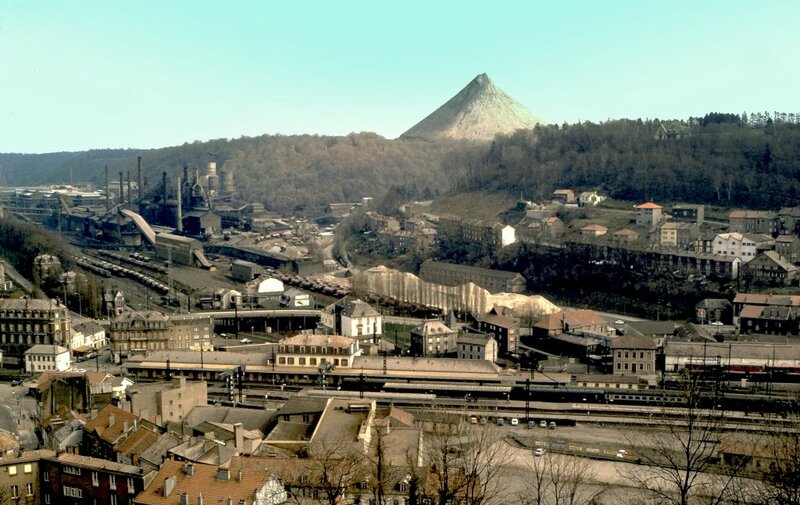 In 1985 the mill was split up into USINOR Acierie de Thionville and USINOR Forge de Thionville. USINOR and SACILOR, the two largest steel groups in France were fusioned in 1986, now government owned. 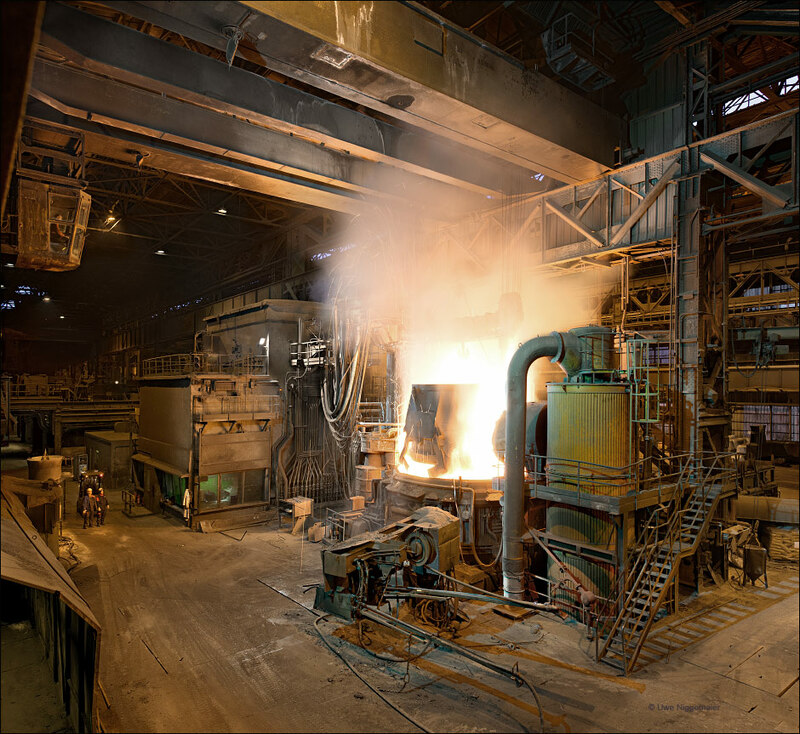 The steel mill became part of Unimetal (the long product subsidiary of USINOR) while the forge became part of the USINOR/Cockerill owned rolling mill manufacturer Forcast. The continuous caster was closed in 1994 and the steel mill was now taken over by Forcast. Forcast was sold to the Swedish roller manufacturer Akers in 2001. 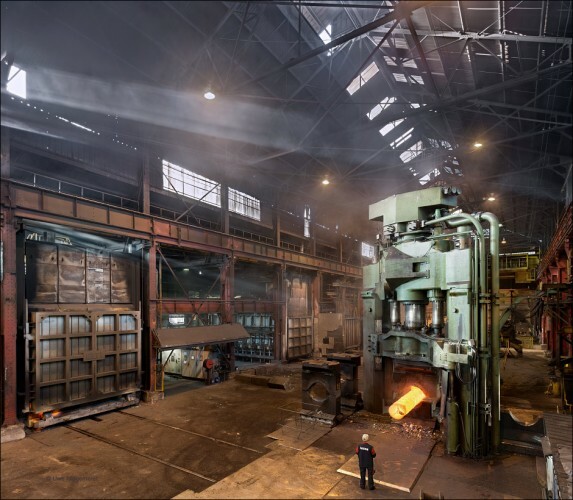 Akers still runs the 70 ton electric arc furnace, ingot casting and the 4000 ton forging press to produce ingots and forged rolls mostly for the steel industry. Posted on 10/08/2013 by U.N. In the 1960ies the small town of Longwy, France (pop. 60000) still housed more than 20 blast furnaces. A unique density. The mills were running on local iron ores of a rather poor quality that became uneconomical in the 1970ies with high quality iron ore shipped into Europe from overseas. 35 years ago, after the announcment of La Chiers’ closure, Longwy’s steel workers started their long and exceptional violent struggle to keep their jobs. Since the closure of Arcelor’s wire rolling mill in 1998 there is no more steel industry in town. Jean-Marie Ottelé site: www.industrie.lu is a unique source of information about the Terre Rouge (Red Earth) steel industry.